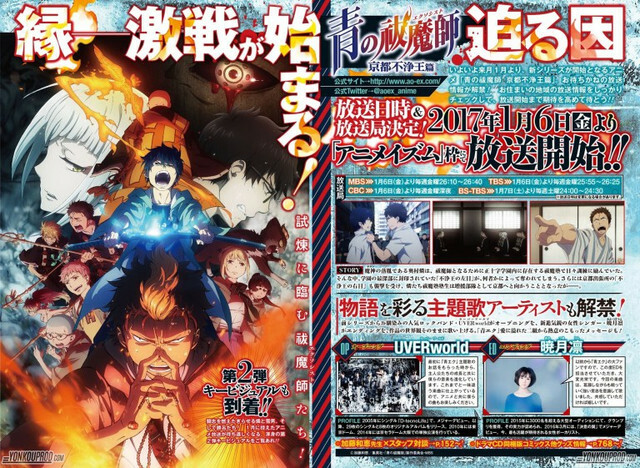 An early look at the January issue of Jump Square, out in Japan on December 2nd, has revealed that the anime Blue Exorcist -Kyoto Saga- starting January 6th on MBS, TBS and CBC will see the return of rock band UVERworld (the 2011 series' first and the movie's) on the opening and Rin Akatsuki (Kindaichi Case Files R, 2014 anison grand prix winner) on the ending. 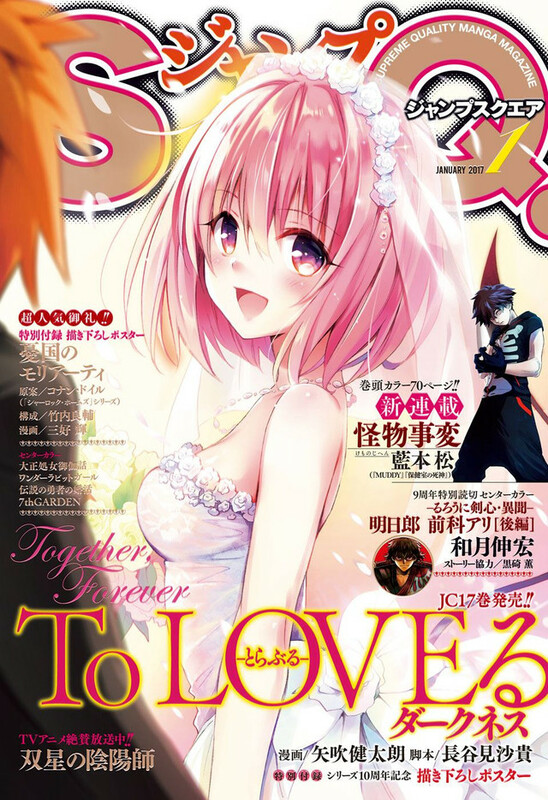 The issue also featured a new visual by manga artist Kazue Kato. 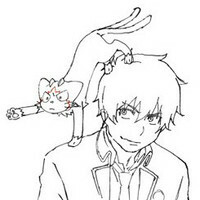 Blue Exorcist, the manga by Kazue Kato which has surpassed 15 million copies in sales. 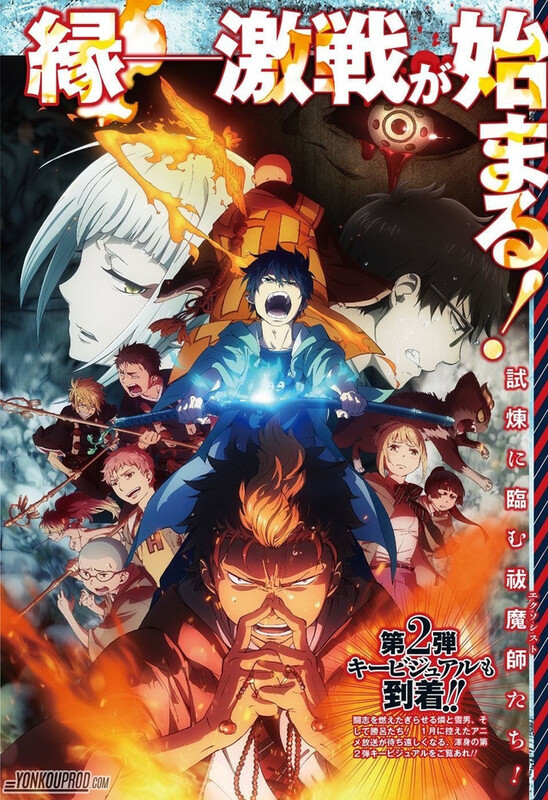 Following a TV anime series and a theatrical film, the long-awaited new series has been greenlit! Assiah, the realm of humans, and Gehenna, the realm of demons. Normally, these two dimensions would never intersect, but having possessed all material substances, the demons are now intruding on the material world. 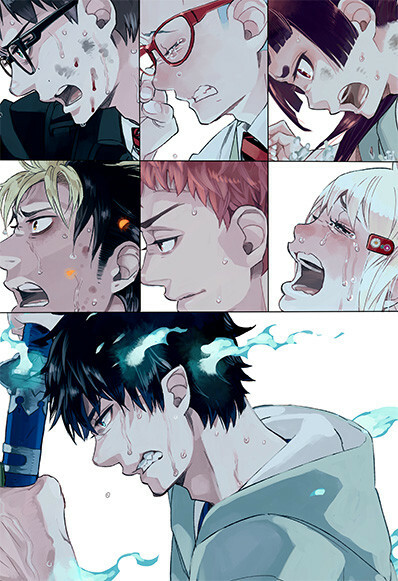 But among the human race, there are those who can confront such demons - the Exorcists. Three More Voice Actresses Get Busy on "Kemono Friends"